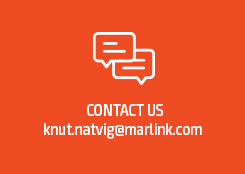 Marlink has launched Smalltrack, a next generation location-based tracking device. Featuring a new, compact and lightweight design, Smalltrack is a highly accurate mobile solution with user-friendly operation and installation. 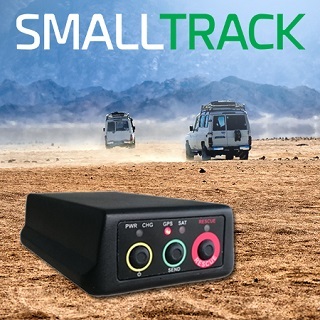 Operating on the Iridium satellite network, Smalltrack can be used in any location without connecting to external power or antenna sources. The device can be online in minutes, conveniently providing accurate tracking of personnel, equipment and vehicles anywhere in the world. With embedded battery and antennas, Smalltrack can operate on a single charge for a minimum of one week, with the ability to use external power and antennas if required. With manual rescue buttons, automatic alarms based on embedded shock sensors and geo-fencing functions, Smalltrack improves safety and protection for workers and assets in remote environments while enhancing reliable situational awareness for remote operations. Smalltrack comes with a web-based monitoring and management platform designed for ease of use and to provide deep control of users, devices and data. The system features high configuration flexibility for the tracking of air and ground assets, offering customisable modes and geo-fencing options to suit the specific requirements of diverse users such as sports events organisers, NGO and Humanitarian organizations or authorities, in addition to maritime use including small fishing and leisure craft. Smalltrack is also useful for light aircraft operators, where the system does not need to be included in pre-flight checks. Smalltrack measures just 123.5 x 76 x 33 mm and weighs 440g, so can easily be moved between vehicles in order to provide accurate tracking reports at user-defined intervals regardless of the user’s current job. The device is rated IP 67 for dust and water protection and features two manual configurable SOS buttons in addition to 3 axis G-force sensors.